This ship has not yet been reviewed. Please check back soon! 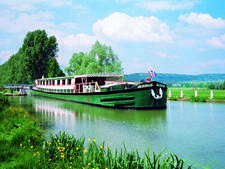 This canal boat has a maximum of just 18 passengers and sails the Burgundy wine region on France, offering wine tastings and historic tours along the way. 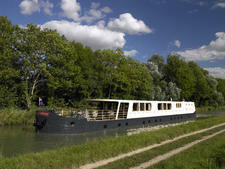 French Country Waterways' 12-passenger Nenuphar blends traditional cruising and something delightfully different. Elegant decor and superb service remind us of a fine country house. 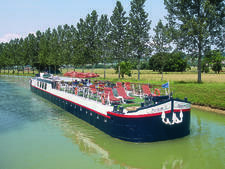 "Adrienne is a flat-bottomed rugged-looking industrial shell hiding a charming little four-star hotel on the inside. 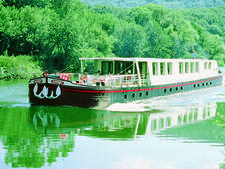 Intimate sailings on this eight-passenger vessel feature wine tastings and stops at towns throughout the Upper Loire in France.